As Leeds sit second in the Championship, passion and excitement has returned to the Peacocks' lovers, after witnessing a fall from grace from akin to going from a mansion to begging for a place to sleep at the homeless shelter. In 16 years, Leeds supporters experienced Champions League semifinals, third-tier football, administration, selling both their stadium and training ground, and a variety of owners. It's now been two years since Andrea Radrizzani first bought shares at Leeds United from his compatriot Massimo Cellino in January 2017. He's helped turn the club around both on and off the pitch, but whether they fulfill their coveted promotion dreams remains to be seen. A boyhood Juventus supporter, a businessman with several successful establishments under his belt, he owns Eleven Sports, the company which last summer secured Serie A and La Liga broadcasting rights in UK and Ireland from BT Sport and Sky Sports respectively. Just like his childhood love of supporting a team outside his hometown, most of Radrizzani's investments have been outside Italy. The name "Radrizzani" first occurred to me during the Suning-Inter takeover in 2016, where he acted as an advisor for the Chinese Holding Group. The Suning Group did buy shares from the Italian Giants and it has been a success since then. After the Suning-Inter deal, Radrizzani took a bold step forward and acquired 50% of Leeds United under his company name Aser Group Holding in January, 2017, before completing the full ownership in May 2018. Radrizzani endured a rough year in his first full season, a slump from 7th to 13th place and the surprise resignation of coach Gary Monk coming just two days after the takeover. However, Radrizzani made some backroom changes including the appointment of former Sevilla recruitment staff, Victor Orta as the director of football, and Angus Kinnear as managing director, who had previously worked at West Ham United. Fascinating appointments if we look at their credentials and experience in comparison with current status of the club. Victor Orta, well known for his underground work that helped Sevilla to UEFA Cup triumph over a decade ago, last worked at Middlesbrough at the request of then-coach Aitor Karanka and left the club two months after the exit of Karanka. Moreover, the one appointment that has really set the spirits high, attracting attention from the football world is the naming of Argentine veteran Marcelo Bielsa as coach. Radrizzani flew to Buenos Aires in what initially seemed like a mission impossible deal to convince the mad tactician, who is a mentor to 2 of the current top 3 managers in the Premier League, to join a mid table Championship team. Radrizzani's ideas couldn't get any clearer: a young team that can play beautiful football while challenging at the top. 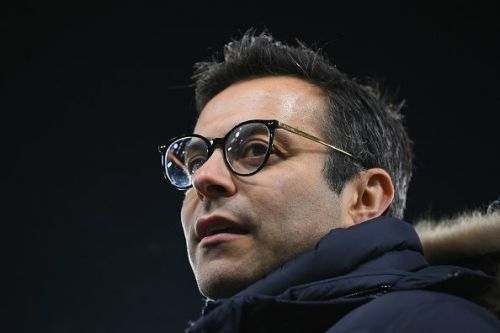 Radrizzani must have closed more difficult deals outside football but it takes an extraordinary persuasion to match the satisfaction of a top manager like El Loco with the project of a Championship side. Indeed an exciting project without any reasonable doubt. El Loco, infamously known for some la vida loca moments in the past, has backed out of deals despite having an agreement with clubs. In 2013 after the sale of Neymar to Barcelona, a pecunious Santos team tried to amuse their fans by appointing Bielsa as coach. After Bielsa's personal inspection, the deal collapsed. In 2016, Bielsa resigned just two days into his job as Lazio coach after the management failed to satisfy his transfer plans. It's been seven months since his appointment here and the fact that Leeds are on top of the log indicates there is a huge satisfaction for all parties involved. It's safe to say Leeds United are heading in the right path under the right guidance of Andrea Radrizzani. He is not just bending over and seeking short term solutions also striving towards making the club financially stable by generating revenues through investors. If Suning (Inter Milan owners) trusts him, British & Ireland consortiums trust him and El Loco Bielsa rides with him, then Leeds faithful should have more faith in him.